President of BCS, The Charted Institute, Liz Bacon, is establishing a force of women in science, technology, engineering and maths (STEM) to encourage more females to consider careers in such fields. The network was launched at a recent BCS Presidential lecture and dinner. Bacon said more girls and women should be encouraged into careers that involve science, engineering, maths and IT: “In IT, women account for just 16% of the UK IT workforce; this is a serious issue for both the UK and the IT profession. Maggie Philbin, CEO of Teen Tech, president of Institution of Engineering Designers, is part of the new network. “I'm delighted to be part of a network that sets out to make a real difference, not only to the number of women working in science and technology companies, but also to the number reaching their true potential and leading, managing and creating those organisations," she said. “It's not enough to parachute a few women in as non-execs, or to encourage girls to consider STEM careers. Companies and academic organisations need to look at how they can build structures and cultures that are genuinely welcoming, and to promote those who are already doing this. Otherwise, women will continue to vote with their feet,” said Philbin. 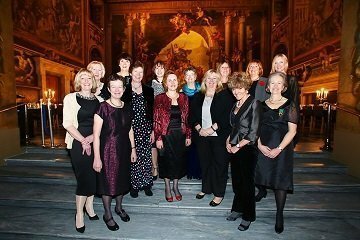 Frances Saunders, president of the Institute of Physics, also a member of the network, said: “Girls need to see that there are inspiring women they can identify with having successful careers in STEM before they will be convinced that it is something they would want to do themselves.